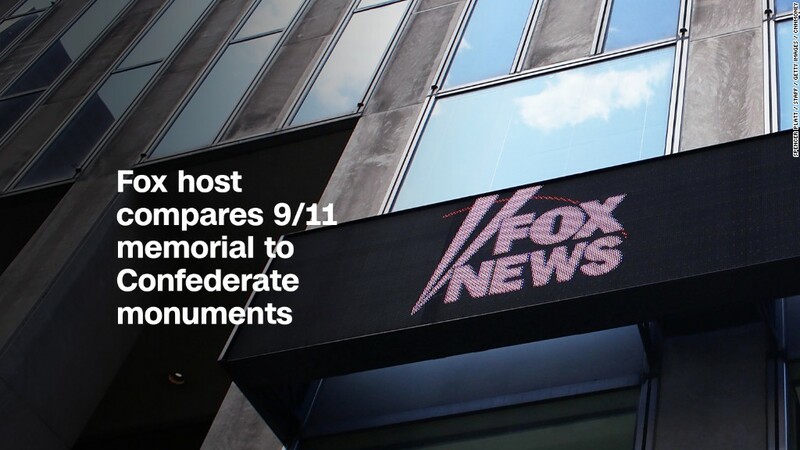 On Monday, the 16th anniversary of 9/11, a Fox News commentator wondered if a memorial for victims of the terrorist attack might eventually meet the same fate as statues depicting Confederate generals. Kilmeade's question was roundly mocked and criticized on social media, as people pointed out that the Confederate memorials depict people who rebelled against the United States while 9/11 memorials were erected in remembrance of victims of terrorism. Some, like former Hillary Clinton spokesman Jesse Ferguson, demanded that Fox "apologize to families of Flight 93 for comparing their bravery to confederate generals who fought against our nation." Fox News declined to comment. Zinke's response was also puzzling to some observers as well -- namely because his home state of Montana does have a statue of Jesus on public lands, which has been a subject of some controversy. But both question and response were broadly consistent with President Trump's own posture on the matter. Last month, Trump called the removal of Confederate monuments "sad" and "so foolish." For their part, both Zinke and Kilmeade are, in their own way, voices for the Trump administration. Trump's affinity for "Fox & Friends" is well-documented, particularly on his ever-active Twitter activity. Since taking office, the president has regularly tweeted his response to segments or interviews on the pro-Trump morning program. Kilmeade and his fellow co-hosts have earned Trump's approval with reliably fawning coverage. At a speech in Phoenix last month, Trump lavished the show with praise. "'Fox & Friends' in the morning is the best show and it's the absolute most honest show and it's a show I watch," he said.